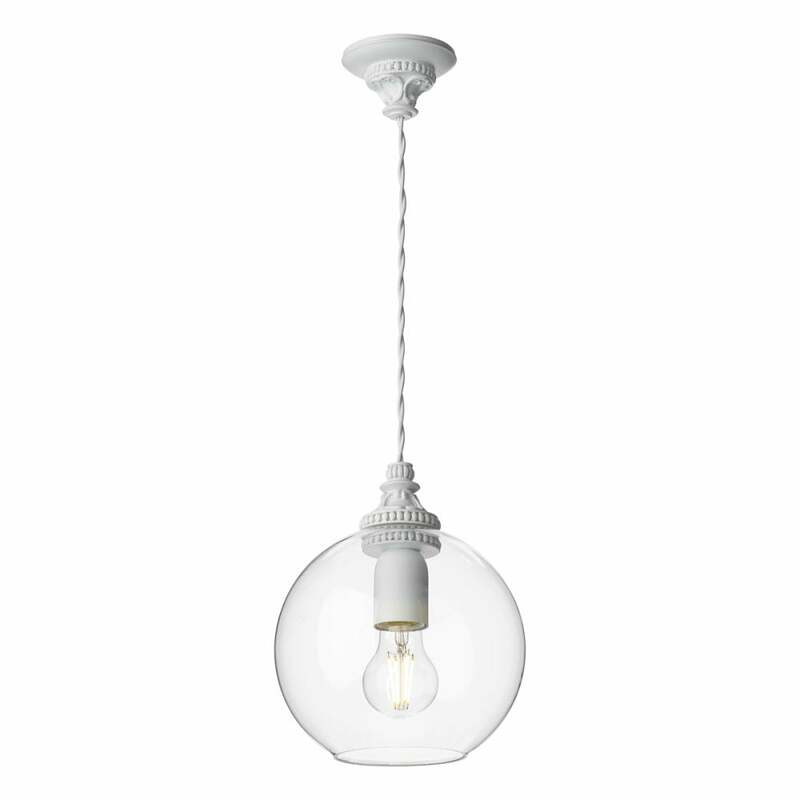 A seemingly simple ceiling pendant in white with a clear glass globe shade. Upon closer inspection, there is a plethora of detailing to the ceiling cup and pendant cap which is reminiscent of heritage plaster-work. This makes it a seamless fit into traditional homes seeking a modern edge or modern homes with attention to detail. This comes suspended on white braided cable cord which can be adjusted when installing to suit most ceiling heights. This is dimmable when teamed with a suitable bulb and switch.